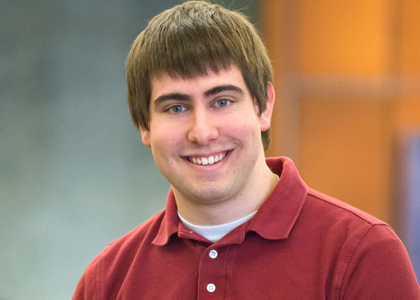 Honors College student and civil engineering major Ben Rouleau ’14 has been awarded a 2013 Goldwater Scholarship. He is one of 271 students nationwide who has received this highly competitive and prestigious award. This entry was posted on Monday, April 15th, 2013 at 11:37 am and is filed under Uncategorized. You can follow any responses to this entry through the RSS 2.0 feed. Responses are currently closed, but you can trackback from your own site.